There are a lot of men out there who think that taking care of the skin is a girly thing, but sadly they have got it all wrong. One needs to keep the skin healthy to look good, irrespective of gender. So, if you want to look good, here are some of the best and effective grooming and self care tips. 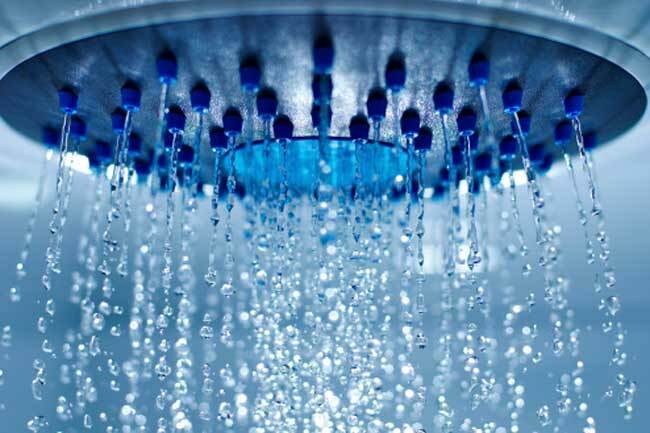 Taking a hot water shower on a cool morning may be just the thing to wake you up and get you set for the day, but as far as your skin is concerned, this may be damaging. Turning the temperature slightly lower than hot can prevent your skin from becoming flaky, scaly, dry and itchy. The hotter the water is, the more of the natural oils get drained away. When you trim or want a clean up, use an electric razor or clipper because blades can lead to ingrown hair. 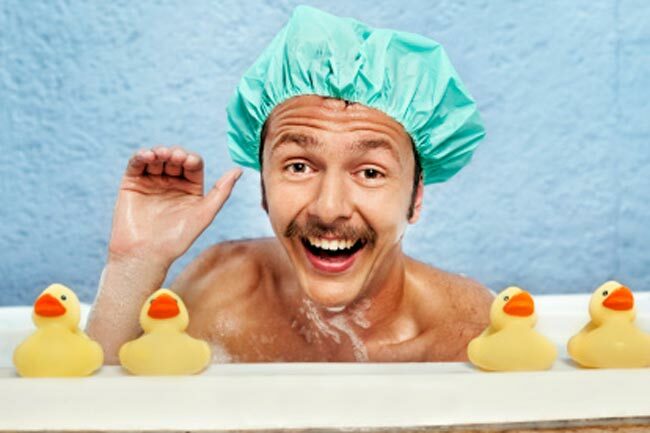 But, if you must shave with a regular razor, try to first get the dead cells to fall off on their own by scrubbing teh area with a loofah or a fruit-acid scrub. You could also use lots of shaving gel to keep irritation and in-growths away. One of the biggest causes of an ageing skin is exposure to sunlight. Even if you do not expose yourself to the sun for more than 5 minutes, it adds up and ages your skin. Add a sunscreen or moisturiser that has an SPF value of 30. Also, make sure the sunscreen is "broad spectrum" i.e. protecting against burning rays as well as skin-ageing rays. Men have a face that is oilier than a woman's. 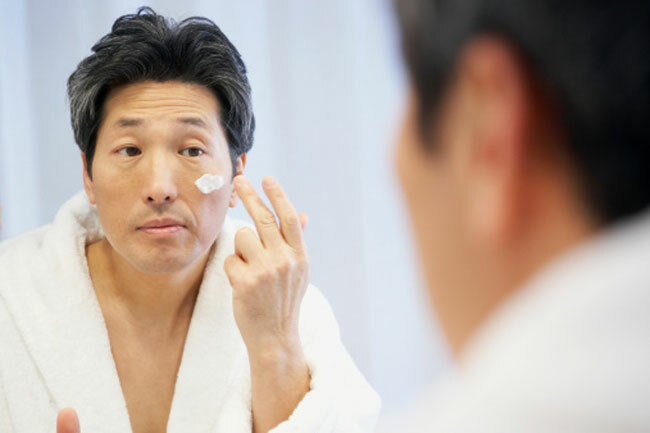 So, it may not seem so necessary to apply a moisturiser, but the truth is that men must apply it to prevent premature ageing. Those men who have a normal to oily skin can get enough moisture from using a hydrating gel or light lotion. If you have drier skin, try using a heavier moisturiser. 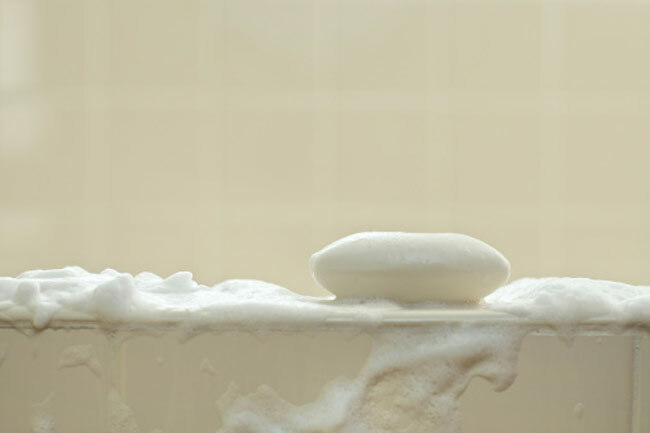 Use a cleanser that does not have sodium lauryl sulfate, especially if you have a sensitive or flaky skin. 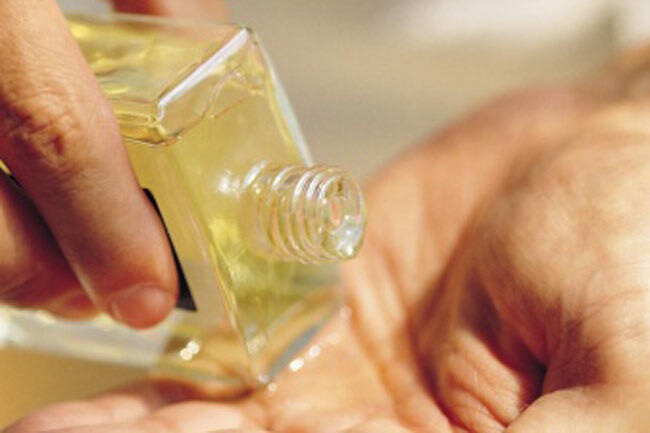 Look for ingredients such as glycerin, ceramides, soybean oils, petroleum, etc that moisturise the skin. If you have an oily skin, try a cleanser that has natural bacteria-fighters such as tea tree oil, citrus, etc. Soaps can dry your facial skin to the extremes because the skin on the face is thinner than on the rest of the body. Shaving causes the top layer of the skin to be scraped off. This works well for those who want to clear up breakouts and dry skin cells, but it can also irritate the skin. Using a moisturiser will soothe irritation and sting. If you use aftershaves that have alcohol in them, the situation may worsen beyond repair. Moisturise your skin before shaving the hair off. This does not mean that you should apply a moisturiser. 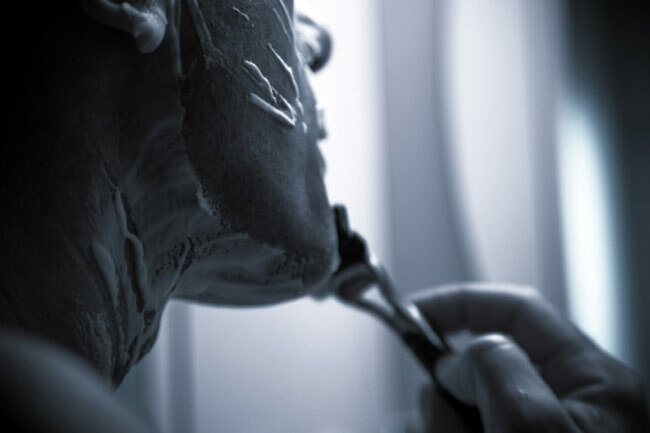 Try shaving after shower when the beard hair is wet and more flexible. If you tend to get a razor burn more often, try to use a shaving gel instead of foam. The newest gels that are available in the market today soften hair even more, making it less likely to have razor burns, redness or ingrown hairs. Once you have washed your face, do not rub it dry with a towel, but pat dry. This is because when the skin is wet, it is more likely for it to get irritated by towel rub. Skin care products for men can be confusing. So, you could just look for words like "alcohol-free", "Noncomedogenic" meaning that the cream will not cause zits, "with antioxidants", "vitamin A, C or E", etc.